We know you want to excel at work, which is why we have put together this list of resources for your convenience. Having read or used many of these ourselves, we’re confident in their values and excited to recommend them for your use. This classic book demonstrates just how important secular work is to God. Whether you are a man or woman, once you realize how many different ways there are to influence your coworkers for Christ without preaching a word, you’ll be challenged. Workplace Grace offers a proven model for evangelism that respects the unique relationships you have with your coworkers. As working women struggle to find mentors in today’s society, Working Women of the Bible asks, what if the women of Scripture are the very mentors we’ve been looking for? This is an anthology of prayers for use during the working day, arranged according to season. Each page features a brief meditation, prayer, and simple reflection. Where do we find the core of life’s meaning? Right on the job! At whatever work we do—with head or hand, from kitchen to executive suite, from your house to the White House. In this brief primer on the biblical theology and ethics of work, Witherington carefully unpacks the concept of work, considering its relationship to rest, play, worship, the normal cycle of human life, and the coming Kingdom of God. Striking a balance between theological depth and practical counsel, Tom Nelson outlines God’s purposes for work in a way that helps us to make the most of our vocation and to join God in his work in the world. Womenworking.com is a world-wide community of businesswomen and experts run by a staff that is committed to supporting you to take your career and your life to the next level. 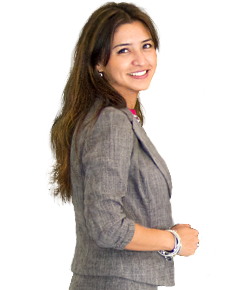 The premier digital community and professional development platform dedicated to professional women. Work (and its products) remains neatly divided between the secular (which hardly counts) and the sacred (which is ultimately all that matters). But this is a false dichotomy and bad theology that limits the advance of God’s kingdom. A Certified Personal and Executive Coach with clients in 40 states and 8 countries, Valorie founded The Coaching and Positive Psychology (CAPP) Institute, a training and leadership development company. Dallas-based Valerie Sokolosky specializes in leadership development by providing essential skill-building programs, executive coaching and consulting to summon the full potential of professional executives. To inspire, encourage and equip business leaders with Christian principles to make an eternal, positive impact on everyone that God has entrusted them to serve. This unprecedented anthology gathers select passages on work and vocation from the greatest writers in Christian history. The Theology of Work Project’s mission is to apply the Christian faith to ordinary work, with online resources covering every book of the Bible and topics such as calling, ethics, truth & deception, motivation, finance, and economics & society. This book describes your Motivated Abilities Pattern (MAP), which indicates your personal giftedness and encourages you to pursue your unique calling and live a purposeful life that is highly productive and richly satisfying. An online association that focuses primarily on entrepreneurs and business owners. 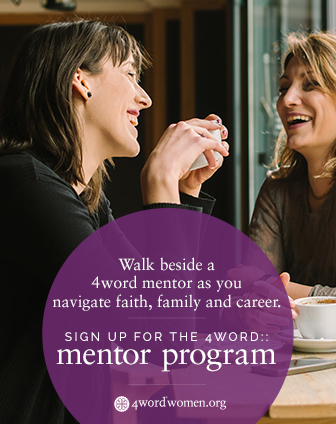 It’s free, provides online training, and helps connect Christian women in the business community. A voluntary pledge for students and alumni of business schools to commit themselves to integrity, honesty, and fair dealing. Signed by thousands of MBAs from more than 250 business schools. The Loudest Duck dives into the many aspects of diversity in the ever-expanding, increasingly global workplace. Laura Liswood explains how to ensure a fair and level playing field for anyone working his or her way up the ladder. Hardy looks creatively at the meaning of work according to Greek, medieval, Renaissance, Marxian, and Freudian perspectives, at Luther’s view and subsequent Calvinist development and modification, concluding with modern Roman Catholic convergence. A highly practical book looking at making the most of the time we spend at work. Examining our jobs, colleagues, and bosses from God’s point of view. For young men and women in the business community. Their primary focus is to help you live the way God wants us to in the workplace, and they provide resources to help you do just that. The book includes advice and insights from 37 different world-class leaders and Fortune 500 CEOs . Our Souls at Work has the power to open our collective eyes to the spiritual nature and mission of our daily work. On-the-Job Prayers uses an integrated approach to prayer utilizing Scripture, a reading from a variety of thinkers and writers on the spirituality of work, and concludes with a workplace prayer written or chosen by the author. This revolutionary program helps readers identify their talents, build them into strengths and enjoy consistent, near-perfect performance. Entrepreneurial business training organization for small businesses with a kingdom mindset. Dr. Henry Cloud, clinical psychologist and author, addresses difficult transitions in career and relationships. Endings are not a tragedy to be feared and regretted, but a necessary stage on the way to growth. Ministries at Work believes work can be a place where people can make an eternal difference. They provide Biblical Business Training and other events. Enables the missionary service of dedicated healthcare professionals by making their monthly educational loan payments while they serve. Founding partner & Vice President at Cooke Pictures, Kathleen is an award-winning actress who casts the media projects & is a key creative leader. Bakke’s most radical stand was his struggle to break the stranglehold of “creating shareholder value” on the corporate mind-set and replace it with more timeless values: integrity, fairness social responsibility, and a sense of fun. The bestselling author and management consultant extracts practical leadership principles from the teachings of Jesus. Connecting, encouraging, and developing Christian women as leaders. Striving to live and lead distinctively under the authority of Christ in the marketplace. iRelaunch uniquely supports mid-career professionals by creating connections, empowering action, and keeping a finger on the pulse of cutting-edge career reentry resources. To share the gospel of Jesus Christ to business leaders through our five practices, to effect change, through the integration of faith and business. InterVarsity’s ministry to grad students and university faculty. Our desire: to see you flourish, follow Christ and pursue the vocation to which you are called. The clinical psychologist and management consultant shares how six qualities affect your business success. Attorney entrepreneurs offering corporate/leadership training, professional development and image consulting services to empower individuals and entities. Work can be a daily grind—a hard, monotonous set of thankless tasks. In the midst of the ongoing toil, many are plagued by a lack of purpose, confused as to what to do and who to become. Drawing on the insights of theological ethics as well as the sociology of religion, Miller analyzes the history of the modern day Faith at Work movement from its roots in the late 19th century to its modern formulation and trajectory. What You Need to Know About How Men Think at Work. For Women Only in the Workplace brings an innovative research approach to the workplace to help women understand their male colleagues.